In this post, we shall discuss the best car tech accessories that you can get and upgrade even an old car to the modern auto tech standards. Reviewing the Pearl RearVision wireless backup camera, let’s find out what makes this particular car gadget the leader in its domain. In a world where Android Auto is taking over the automotive industry and Google has successfully tested out its self-driving car across the United States, your ride can feel like something closer to Fred Flintstones’ car. While it is always appealing to go out and spend thousands of dollars on a Tesla, why not upgrade your car with some sweet tech instead? From parking sensors and backup cameras to heads-up displays and navigation tools, most of the car tech you find around focuses on road safety. Since your smartphone is one piece of technology that you always have in the car, it would be a shame to not put all that processing power to good use. But before we jump into how Pearl RearVision brings together the best of mobile technology and on-road safety, let’s discuss some of the coolest car gadgets you can buy right now. If you already have a Bluetooth stereo speaker and a large touchscreen LCD installed in your car, things may seem pretty high-tech already. To bring out your true tech-savvy spirit and express it through your ride, there are plenty of tech gadget accessories for your car that deserve your hard-earned money. You don’t necessarily have to be a speed demon be charged with speeding tickets every now and then. 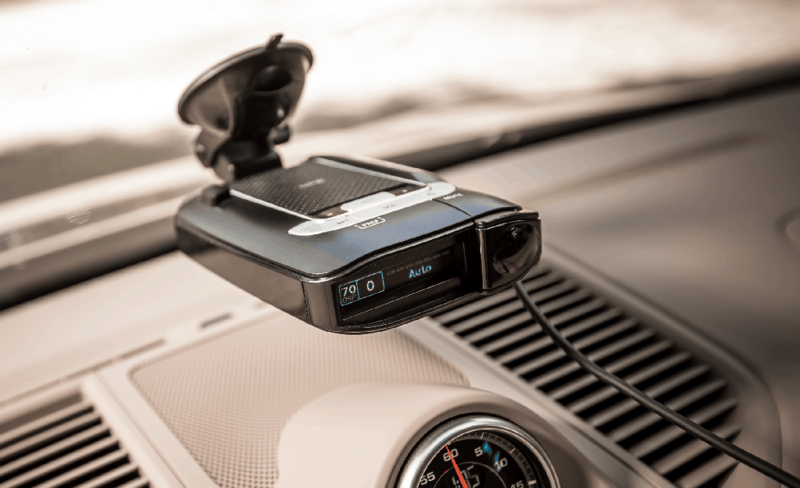 Whether you’re just a couple miles above the speed limit or live near a freeway with prevalent speed traps, having a radar detector can potentially save you a lot of hassle. While there are apps that help you detect the most commonly located speed traps, a proper radar detector does the job with pinpoint accuracy and laser detection. Most high-tech radar detectors like the Cobra SPX 7800BT come with a mobile app that not only sources data from other users but also helps detect false positives to help you out of unfair speeding fines. Whether you’re a wilderness enthusiast who goes off-roading every now and then or just someone who had their car battery die on them in the middle of a cold and chilly night, you need a portable jumpstart kit. About roughly the size of an iPad Mini, you can get the Cyntur JumperPack Mini which packs a powerful punch of 250 amps. More importantly, the jumper tool comes with a USB outlet so that you can charge your phone and other gadgets, along with the 200 lumens LED flashlight to help you move around at night. Every grease monkey has at least looked once at the beauty that is a Tesla and wished that they had it. Apart from boasting the electric motor that will potentially end our dependence on fossil fuels one day, it is the seamless software of Tesla OS that makes it a truly futuristic car. Well, now your good old gas guzzler can also become a smart car in every sense, thanks to a small piece of tech called Automatic. 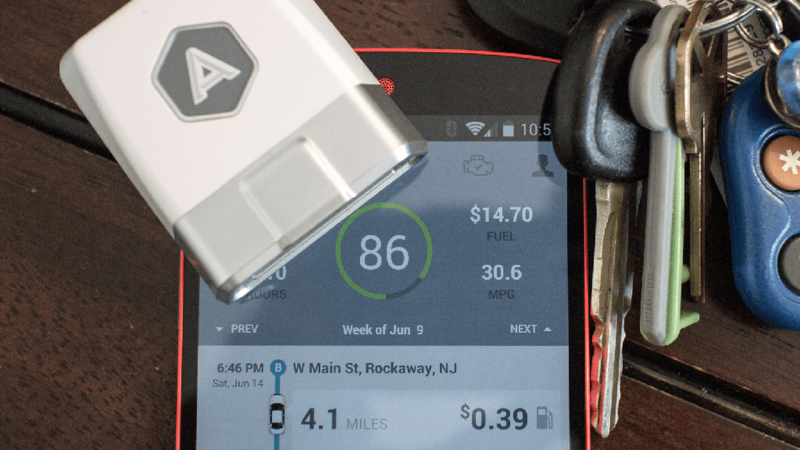 This simple plug-in smart car adapter offers features like engine diagnostics, trip logging and data collection, crash alert, parking tracking and a whole lot more directly to your smartphone. This simple device has one drawback though, it uses up the OBD-II port that other devices might want to connect to. Most of us don’t really bother to check the tires until something just feels wrong or the threads seem to run off. However, for all of you who drive something like a vintage Mustang and want the old beast to always be in good shape, a tech accessory like tire pressure monitoring system will do you good. CARCHET seems to offer a great solution for this in the form of its TPMS (Tire Pressure Monitoring Intelligent System). The kit comes with four sensors that fit directly on the air inlet of the tires, while a tiny little monitoring screen comes with a suction cup at its bottom so that you can stick to the corner of your windshield and monitor everything in real time. One of the most sought-after accessories for cars is a backup or rearview camera, and for all the right reasons. 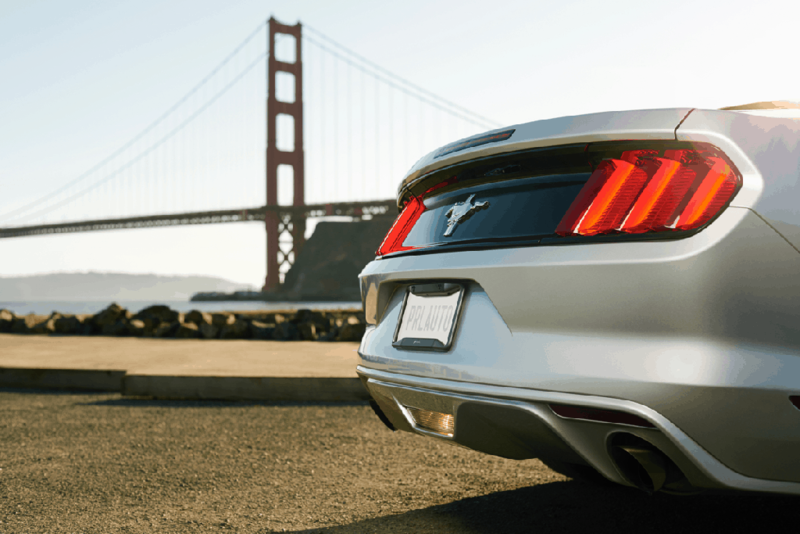 Most major car manufacturers now offer backup camera a preferred accessory, since the US Department of Transportation has made it mandatory for all new vehicles to have it after 2018. With a reliable backup camera system plugged into your car, you get a wide-angle view during reversing, and even a visual of the blind spots. However, with thousands of models and hundreds of manufacturers, you need a backup camera that is not only compatible with your car but compliments it as well. In a market crowded by backup camera systems that are available in all shapes and sizes, finding the one that suits your needs best can be overwhelming. While your local repairs shop can hook you up with cheap backup cameras that are dime a dozen, your beloved ride deserves nothing but the best. If you have been googling online to find one of the best back cameras for cars online, there is no way you haven’t come across RearVision already. 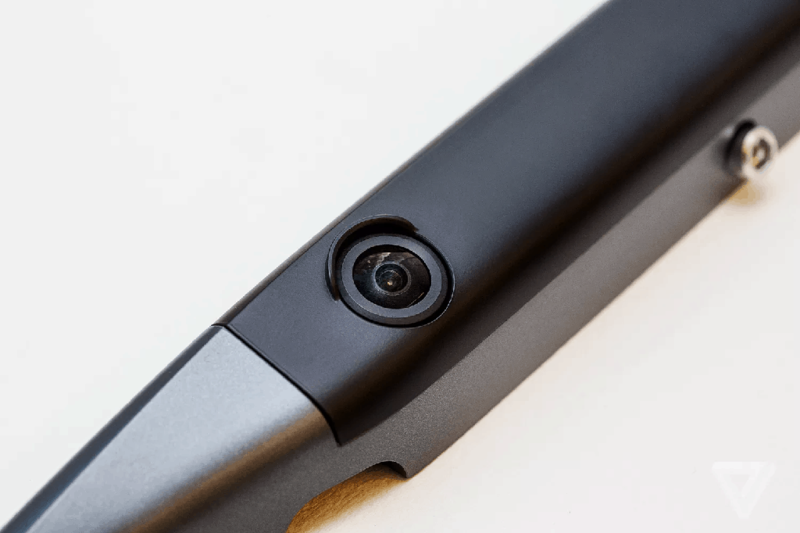 At first look, this aftermarket backup camera seems like one of those concept designs, but don’t be fooled – there is more to this sleek piece of car tech than what meets the eye. Taking the reputation of aftermarket backup camera system to a whole new level, RearVision offers a completely wireless solution to uncomplicated driving safety. With a praiseworthy design, easy installation in minutes, and one of the best smartphone mounts you can buy, the Pearl RearVision will become an inseparable part of your car. The best part about getting a wireless backup camera for your car is all the wiry mess you save yourself from. Unboxing the RearVision feels like unwrapping a present on Christmas, with the frame-infused dual camera setup right at the front. Since this rearview camera system turns your Android or iOS device into the display screen, it’s great to see that all the important accessories come right in the box. Apart from the main backup camera frame, the package comes with the iconic Pearl Phone Mount, phone plates to connect your device to the mount, 12V port adapter for transmission, and handy screwdriver so you don’t have to run around looking for one. The RearVision backup camera has been developed by Pearl Automation, a company founded by a team of former Apple engineers, so you know that the design is always going to be something extraordinary. Looking at some of the other “competitors” in the rearview camera business, there isn’t one product that wouldn’t stick out like a sore thumb. Starting with the camera frame itself, the fact that it goes right onto your license plate means that one size fits all! Whether you’re planning to fit the RearVision on your SUV or the family van, everything you need is already in the box. Built with anodized aluminum all the around, the dual camera setup is weatherproof and aesthetically pleasing as well. Moreover, the cameras operate completely on the special solar panels that are built right into the frame itself, so you never have to worry about running out of juice. The Phone Mount that comes along with the system is a competitor for one of the best in its class, thanks to the innovative gimbal design. 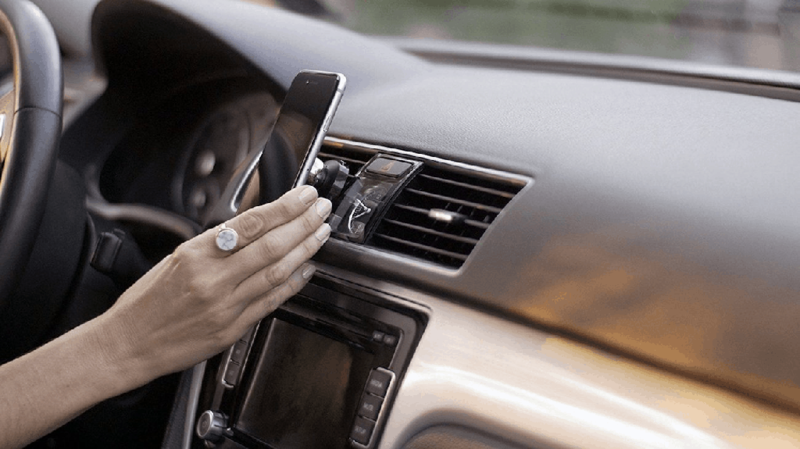 With a strong magnetic surface on the mount face and the phone plates given along, fastening your smartphone to the air vent or directly to the dashboard just feels natural. Note: Pearl RearVision is compatible with all car models manufactured after 1996. So do make sure that your car comes with an OBD-II port before you go ahead with the installation. No matter how much of a free-spirited handyman you are, installing a run-of-the-mill backup camera system is not for the faint of heart. Drilling holes in the trunk, pulling wires from front to back and tinkering with the battery to power your rearview system is not the job for a rookie. Regardless of how much of a hassle installing a regular wired backup camera is, the fact that it steals all your car’s good looks is just unacceptable. Even if you have never tightened a screw before, installing the RearVision camera frame should take you no more than 10 minutes. 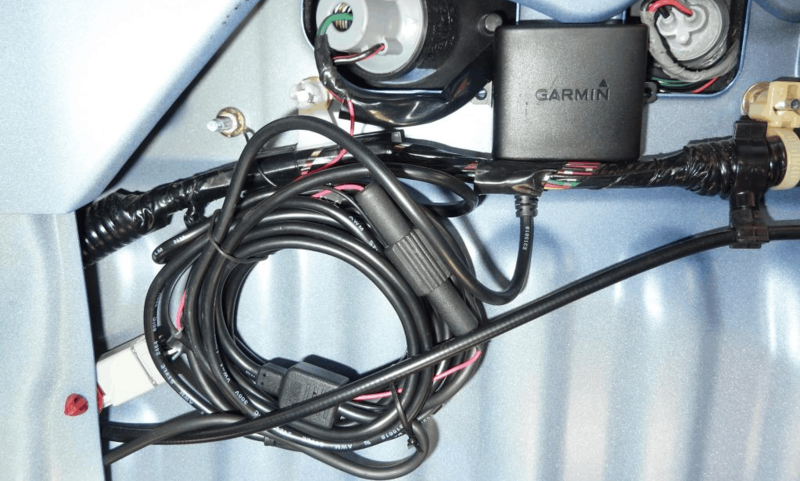 The metal frame goes directly onto your license plate, and camera unit can then be fixed directly on the metal plate and secured with a metal Torx screw. Now all you have to do is plug in the RearVision adapter into the OBD II port, which will be your main piece of the wireless puzzle. Go ahead and install the Pearl RearVision app for Android and iOS on your device, pair it with your newly installed system and you’re good to go! As you go through the app, you’re greeted by the welcome screen and the app immediately jumps on to helping you set up RearVision once you have the hardware installed. Pearl automatically controls the Bluetooth and Wi-Fi connection of your phone to connect to the OBD-II port adapter and uses Bluetooth Low Energy to make the whole communication easy on your device’s battery. Use your email address and password to create an account with Pearl, and the next screen will help you connect the app to your newly installed RearVision adapter and backup camera frame. If you have no idea where the OBD-II port adapter will fit in your car, don’t sweat it! The app comes with the option to help you chose the car make, go through all the car models by year and find the location near the steering wheel where the adapter port is located. Once you have the adapter connected and the app scanning for it, the whole setup process should take a few minutes only for the first time. Compared to its iOS counterpart, the Pearl Android app has been designed to launch immediately when connected to the Pearl phone mount. You don’t have to manually launch the app every time you enter the car, just stick the phone to the mount and the Pearl app will automatically launch, giving you a wide-angle view of what’s behind the car right away. The app works seamlessly with the wireless adapter and the cameras at the back, sometimes offering feedback as accurate as its wired counterparts. When an object was too close for comfort during reversing, the adapter started to beep and the little visual cue on the app was enough to bring our attention to it. Positioning your device horizontally will make the app switch the live video feed into a wide-angle 175-degree overview, where you can even zoom in to have a closer look at what’s behind. With the two high-quality camera lenses (one for the daytime and one for night vision) fitted with 1/3-inch CMOS sensors, your HD smartphone display, and a lightning-fast wireless connection, spotting even the smallest of movements is super simple. Pearl RearVision isn’t exactly the most cost-effective backup camera system on the market, but not everyone is out looking for a cheap fix that will falter soon enough. With the high bar that is set for it, RearVision does not disappoint when it comes to delivering everything that it has been built up to be. Even at its “premium” price, RearVision offers far more value for money than its competitors like the Garmin Nuvi ($870), which still fails to offer a completely wireless backup camera solution. Promoting safe driving is what all backup camera systems are designed to do, but the Pearl RearVision does it with style. The fact that the whole frame of the camera system and the mount is made with premium grade materials and can be swapped out and plugged into another car at any time, you can practically make the best out of the RearVision backup camera system for years. Apart from feeling safe on road, the only thing you won’t be feeling with the Pearl RearVision is buyer’s remorse. So go ahead and grab the Pearl RearVision online on Amazon, or visit their official website and grab one while the discount season lasts! And while you’re at it, check out this adapter on Amazon – it’s the officially recommended one from Pearl, that perfectly complements the RearVision and Automatic systems. 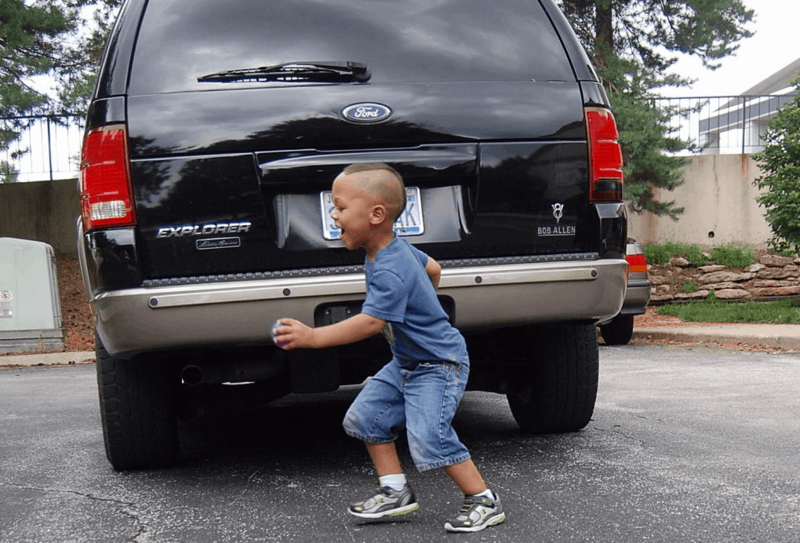 Pearl RearVision Giveaway – Enter Now! Create 10 posts on the Updato Forum. We’re an increasingly active community, and we want to hear your voice as well! You can enter by creating 10 forum posts every single day, so by the time the giveaway ends you can score dozens of entries by being active on the forum alone. Like the Pearl Auto Facebook page. Everyone will be scrambling to be active on the forum, and if you want that extra edge give some love to the people that made this happen! To enter, just fill out the form below – make sure you fill out your forum username correctly! And remember, you can enter every day by posting 10 threads on our forum! Good luck!